A total of 40,700 trade visitors, 1,100 exhibitors from over 39 countries – this was the dmexco 2017 in Cologne and Modix was a part of it. Modix had a successful start. 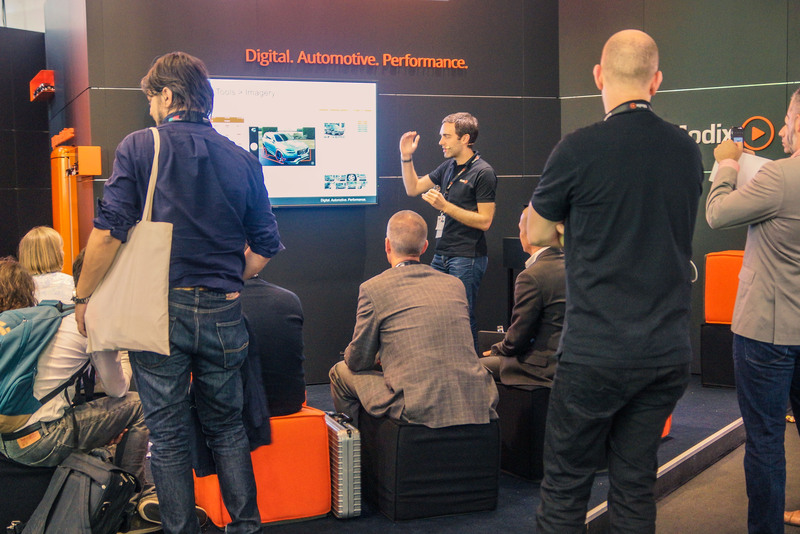 For the first time, Modix exhibited at the dmexco and gave presentations on trends and digitization in the automotive sector to many trade visitors who stopped by the Modix booth. Engaging discussions with clients and interested parties from the automotive industry took place. The focus was on the online marketing of new and used vehicles. There were insights into product innovations as well as trends from the automotive industry in China and the USA. Modix would like to thank its clients, interested parties, visitors and the Modix-team for a truly successful event and valuable impulses for the future.